After five years of fine honey, my hive didn't survive the winter. After five years of heavy lifting, we are trying out some top bar hives this year. We have been lucky, as our bees stick close to home and we use no pesticides, so they have been safe and happy. Isolated from infected bees, bad chemicals, and cell phones; all thought to be culprits in colony collapse, the bees flourished with little or no help from me. As every other country on the planet seems to be banning Monsanto's GMO's and their "miracle" herbicide" Roundup, the US is late to the party. Yesterday my BFF, Beverly, said she could tell there was a "bee" problem. It seems like a funny commentary, but she has noticed (or more rightly, not noticed) bees, or the lack there of in her yard. This time of the year in Alabama, there have always been bees doing their bee job of pollinating the flora. This year, Beverly has seen only a few bees out and about. Here is a new dilemma. 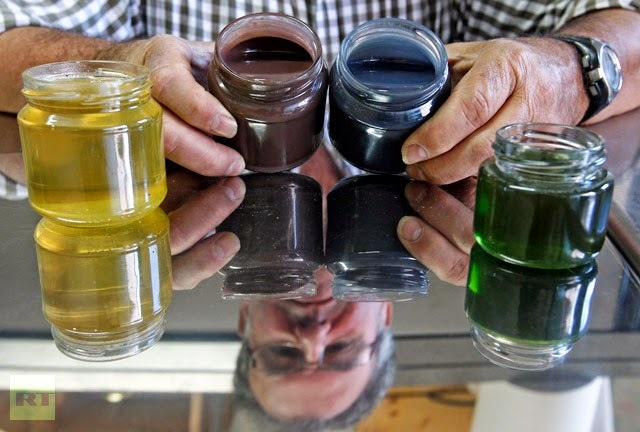 Reuters reported this week that beekeepers in France were getting multicolored honey. When they investigated, they found that a nearby biogas plant has been processing waste from a Mars candy plant producing M&M's. 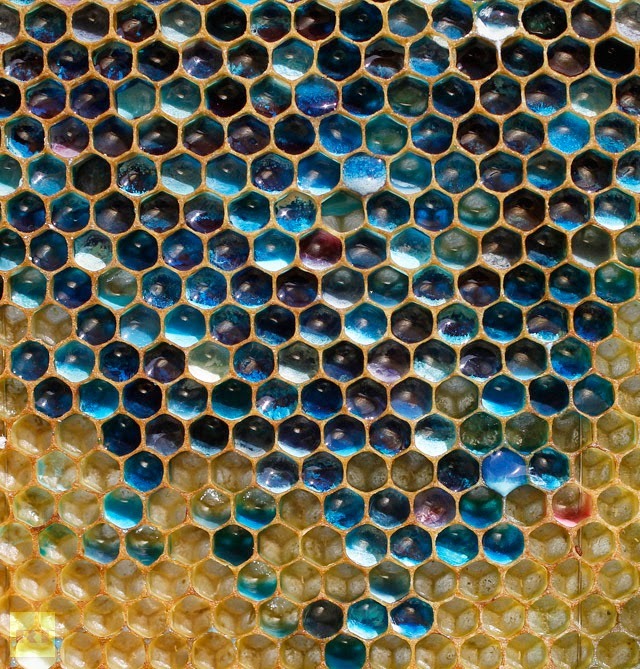 The residue from bright red, blue, green, yellow and brown shells is being collected by the bees and incorporated into the hive. While such bejeweled combs might seem lovely, the resulting garish "honey" is unsellable and inedible. 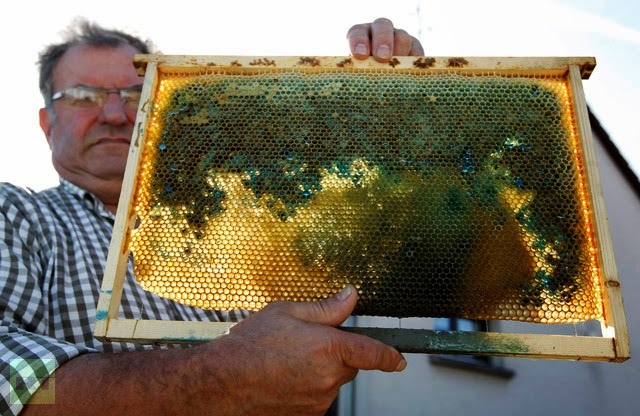 So beekeepers who's hives have survived all manner of assaults are producing honey that is unusable. Not to mention, there is no way of knowing what it is doing to the bees. My guess: You will soon be seeing Mars M&M honey in a supermarché near you. It will be much cheaper than the fruits and vegetables that have no bees to pollinate them. This summer when you see a weed growing in the crack in your sidewalk, reach down and pull it out. Don't drive to the hardware store and by something to spray on it unless you want apples at $5 each. A subject near and dear to my heart. While I am allergic to bee stings, I still want bees in my garden. Bees, toads and worms are good signs all is well. I believe in the power of locally produced—not on Mars!